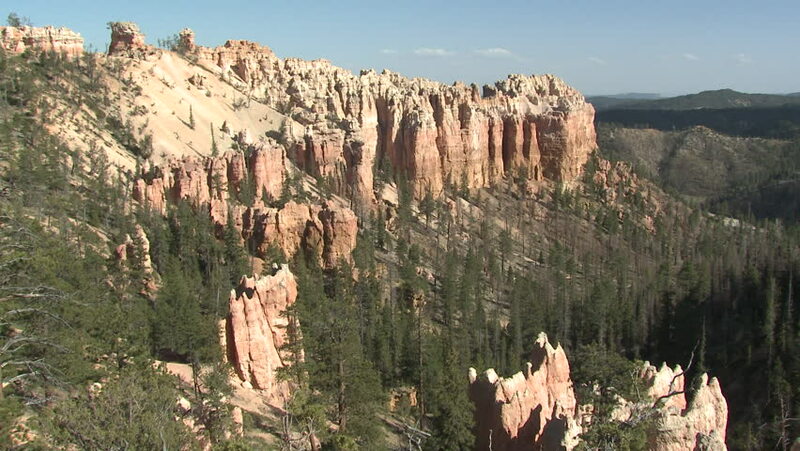 4k00:30Aerial Red Canyon forest rock pillars Bryce Canyon. Dixie National Forest southwest Utah. Geological formation weather water erosion. National Monument 1923. Ecological sensitive tourist destination. 4k00:12Young man hiking through a red rocked canyon in Colorado. 4k00:24Flying past tree and over bushes towards red rocks in Arizona.